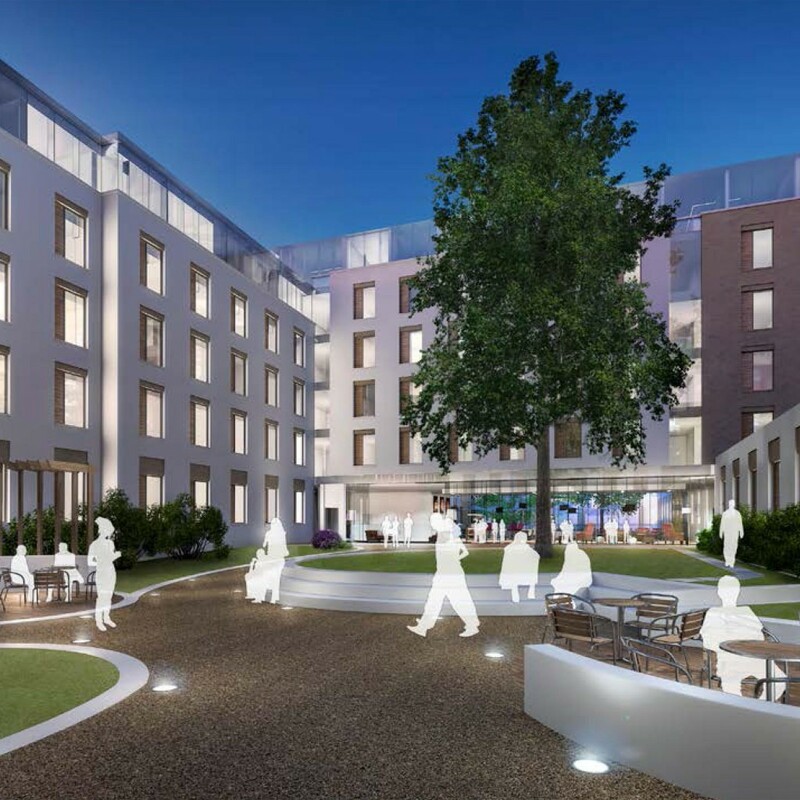 Working alongside TP Bennet Architects, CSA prepared the designs for the external environment of a new 410 bedroom student’s accommodation scheme in Central London. The development, which comprises a series of 4 to 6 storey accommodation blocks, is focused around two high quality communal courtyards and a sunken garden. The scheme also incorporates green roofs to help maximise the ecological value of the site.